Welcome to Van Ness Cupcake! This is THE place to order amazingly delicious cakes and cupcakes online for delivery in Amsterdam! We also ship our cupcakes and cinnamon rolls all over the Netherlands AND Belgium. From the classic Vanilla Sprinkles to the deluxe Caribbean Cashew Nut, the cupcakes are perfect treats to share with anyone, anytime. 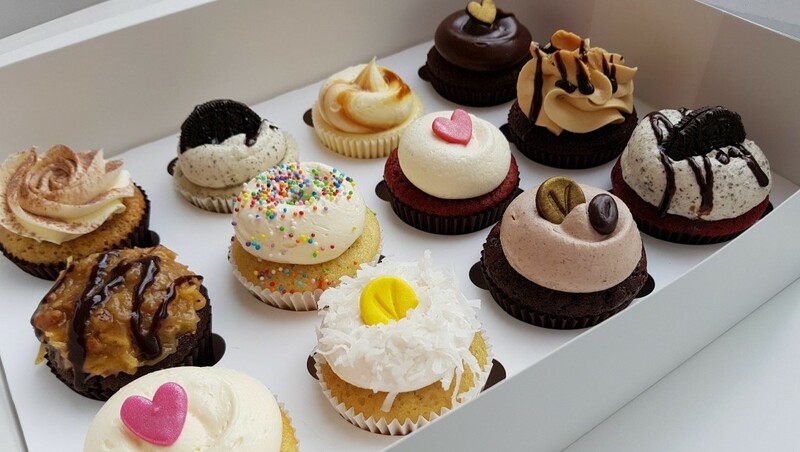 To create unique flavors for you, Van Ness Cupcake uses only the finest ingredients. Featured in Viva Magazine, Culy.nl and Veronica Magazine. Also named “nr1 Cupcake Champion” by Veronica Magazine. So browse the deliciousness, choose your favorites and know that everything we bake will always be baked with love and the finest ingredients! JOIN OUR MAILING LIST FOR SWEET OFFERS!